You have decided not to declaw your kitty, but he seems determined to destroy your furniture, carpet, or curtains. You have bought scratching posts and encouraged scratching on these designated surfaces, yet you still catch him tearing up your sofa. You do not have to give up your sofa or your sanity to your scratch-happy kitty. You have options and your groomer can help! 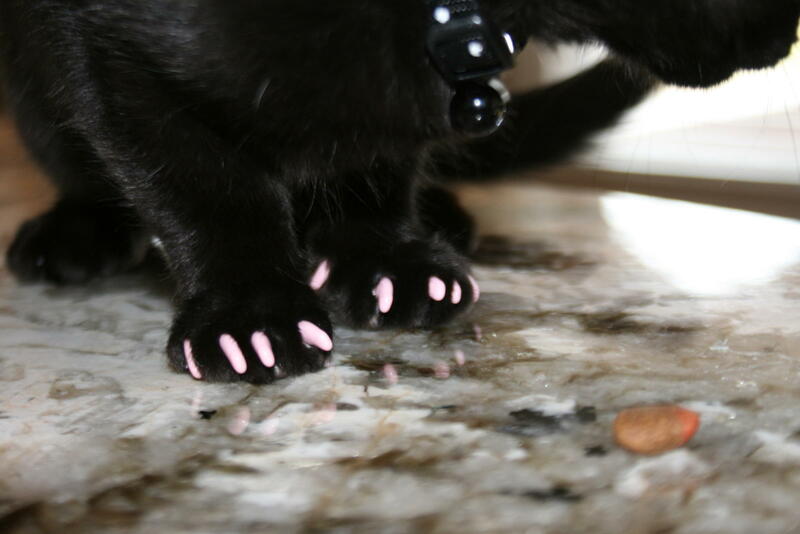 You can trim Kitty’s nails. Trimming a cat’s nails requires a lot of patience, a good bit of time, and a second person (one holds, one trims). Many cats will still not permit you access to their paws or will find this process to be extraordinarily stressful. A professional groomer has experience with this process, so if you have any doubts, do seek out a professional. Note: If you have never trimmed a cat’s claws, ask groomer prior to cutting Kitty’s nails. There is living tissue in his/her claws that will be painful and bloody if nicked in the process. You can get Soft Paws®. If your kitty is an indoor cat, lightweight vinyl claw covers (Soft Paws®) are a great option. These caps are non-intrusive and last about six weeks. This option is great for those who cannot be home to catch Kitty every time he scratches, those households with a need to prevent kids or elders from being scratched, or anyone feeling overwhelmed with Kitty’s scratching. You can apply these yourself or seek out a professional cat groomer to apply them to Kitty’s paws. The application may feel odd at first to your cat but most kitties adjust to them fairly quickly.